is BoNa Coffee in West Gate. I'm an avid coffee drinker. As I type this, I am cleaning up coffee spills on my legs because I was trying to take a sip of [surprise!] coffee, whilst playing Restaurant City. On average, I drink about 5 large mugfulls of brewed coffee [usually it is of an Extra Bold Sumatra blend] if I'm at work and about three mugs of Maxwell's Medium House Blend if I'm at home. The BF usually tries to convince me to switch to tea or fruit juice sometimes but if you're a caffeine person like I am, you would agree that there really is no substitute, yes? I've read about BoNa [stands for Bohemian Nation] lots of times before but never really got around to try their coffee and the 'boho' feel of their stores. For one, their first branch was at BF Resort Paranaque, but was not located in either Aguirre or President's or El Grande so I really had no idea where it was. Finally, on a slow and quiet Saturday night, I found myself at BoNa Westgate. BoNa began when a well-traveled young couple embarked on a lifestyle change. Luis Gonzalez and Candace Schmidt are born entrepreneurs, artists and educators on a mission. Luis, a true coffee lover, wished he could bring into our part of the world the way coffee should be done. First of all, he wanted a consistently good cup of coffee in Manila. More than that, having enjoyed not just the coffee, but also the ambience and attitude that true coffee houses have in Venice, Milan, Paris, even Seattle and Vancouver, he resolved to bring it home. He determined to bring back soul into the coffee industry, envisioning coffee enclaves conducive to great conversation, where ideas and possibilities are born. Candace lost 42 pounds in six months due to exercise and a low-fat, low-calorie diet. Together, Luis and Candace had gotten trim and fit and now the problem that confronted them was one that confronts Manila today – where can you find good, delicious and satisfying food that won’t undermine your health? I feel bad not taking notes during the two times I was there because I now cannot remember how much these drinks cost. All I can remember is that it was ranging from Php 100 to Php 150. Not bad, right? And I think that if I don't remember it, it means that I wasn't bothered by it! Convenient. The branch we went to was in Westgate and everyone in the south knows how convenient it is to go to Westgate ---- either by car or by public transportation. Good food, great drinks and a perfect ambiance. Free Wi-Fi! I've never actually tried because I was busy chatting with girlfriends but I've seen other guests using their laptops and getting signals. Besides, BoNa has two computers free for customers! Affordable. As I've mentioned, the prices are inexpensive. 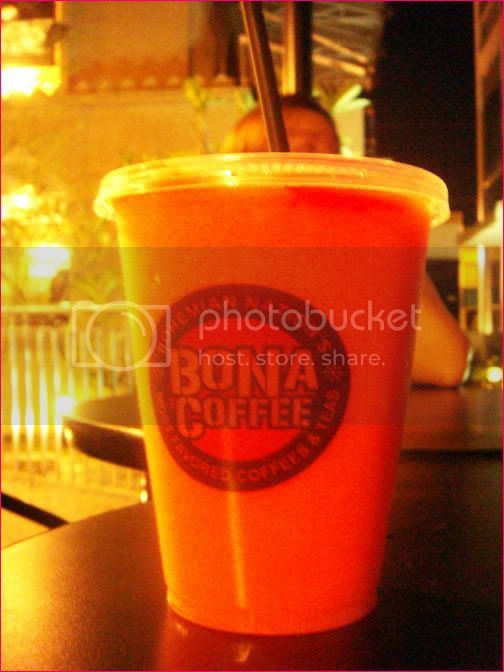 BoNa Coffee makes use of 100% Philippine Coffee beans. Yay! [disclaimer: This is my opinion and I do not intend to offend anyone] BoNa coffee does not have, for some reason, high school patrons. I don't know about you but ever since Starbucks and other mainstream coffee shops made its debut in the Philippine stores, high schoolers have began frequenting coffee shops. Somehow, it fazes me because when I was in high school, I did not drink coffee [unless there was an exam] and two, why would a high school student drink coffee? For the longest time, I've stopped hanging out at Starbucks unless it's at our building because I hate the annoying highschool chatter and giggles. Clean restroom. The restroom was very clean, with tissues and soap all the time, albeit being a common washroom. Doesn't stink, too! Non-smoking and smoking areas. For some reason, I love having a cup of coffee with Marlboro Lights. Limited number of branches. I kind of hate staying in the Northern part of Manila because to me, it's always cramped and yes, because there's not a decent coffee place such as BoNa. :[ As of the moment, BoNa has only three branches. Will I go back to this place? Absolutely. 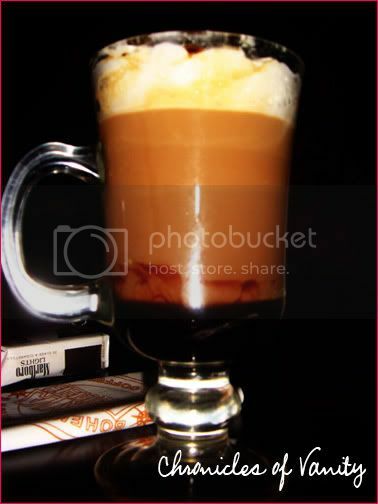 I am just waiting for the typhoons to subside and I will meet my girlfriends for a cup of coffee! Wee! Unit E Banco Filipino Bldg. Elizalde St.
*PS: The Shades of U is having a MAC giveaway and it's humongous! Do hop on over to Ms. Aileen's blog and join! Good luck!